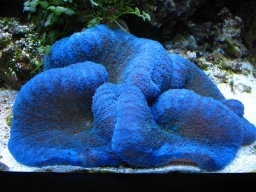 @Carol , Its the same as adding a new filter to a Freshwater , it gathers dirt and doesn't have the bacteria to deal with it in the sponges and leaches ammonia and nitrite into the water and the existing one pics up the tab . Even though it's the same amount of food and waste that the live rock was dealing with before? The rock itself doesn't produce any so I still don't really understand where the extra comes from? Surely which part of the tank it's being created in shouldn't matter if it's taken into the water column and then digested by the live rock? I would understand what you were saying if I had added extra fish but the bioload is the same so unless the rock is pooing the live rock should still be able to deal with the same levels of waste in the water column? Still not sure Gav, it's only three wee fish in 450 litres of water surely any ammonia would be diluted enough to be easily dealt with by the live rock. My sand sifting starfish, snails, hermits and various snails are all fine, including some really tiny baby snails. The other clown looks as good as ever too so I honestly don't think it's any sort of spike that has caused it? I have managed to get a bottle of melafix from a friend tonight so I'm going to give That a go and see if it makes any difference. 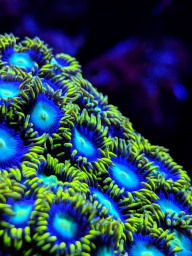 Scroll down to fin rot. Looks like melafix might help then. Probably too little to late though I think. Thanks for everyone's help! Chris any news on this? Aye the wee guy didn't last the night unfortunately! Im sorry to hear that Chris..